Ms. Andani is a B.Com (H) and C.A. 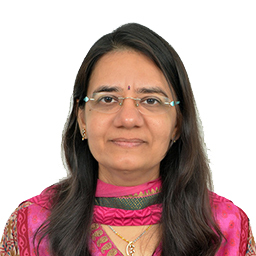 Prior to joining SBI Mutual Fund she has worked with ING Investment Management Pvt. Ltd., ASK Raymond James & Associates Pvt. Ltd., LKP Shares & securities Ltd., Advani Share Broker Pvt. Ltd., CRISIL, and K R Choksey Shares & Securities Pvt. Ltd.